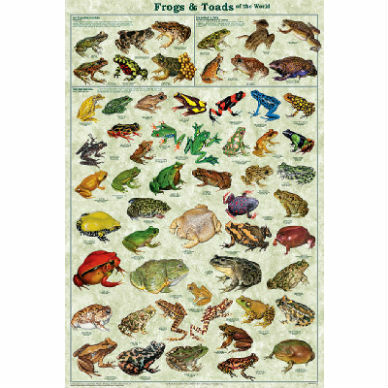 This Frogs and Toads of the World Poster colorful poster is divided into three sections, one representing each of the major groups or sub-clades. 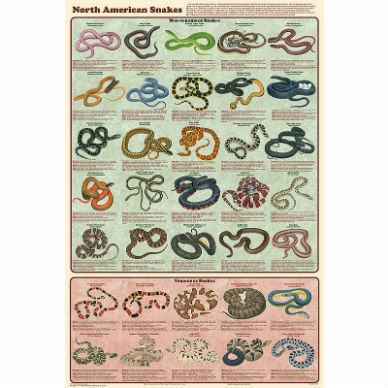 Extensive research went into showing the amazing diversity of these little animals. 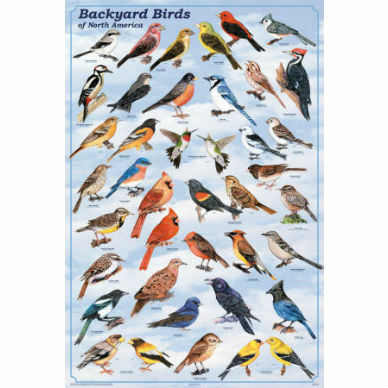 North American species are shown whenever possible. The Anura (meaning “tailless”) clade contains all of the frogs and toads. There are over 4,800 recorded species, which represents 88% of all amphibian species. The distinction between frogs and toads is based on common cultural, rather than specific physical differences. In common usages, the term “frog” usually refers to species that are aquatic or semi-aquatic and have smooth, moist skins and the term “toad” generally refers to species that are terrestrial with dry, warty skins, but there are numerous exceptions to this rule. 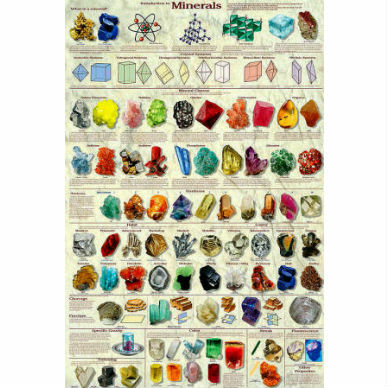 Laminated; standard 24×36″ poster size.